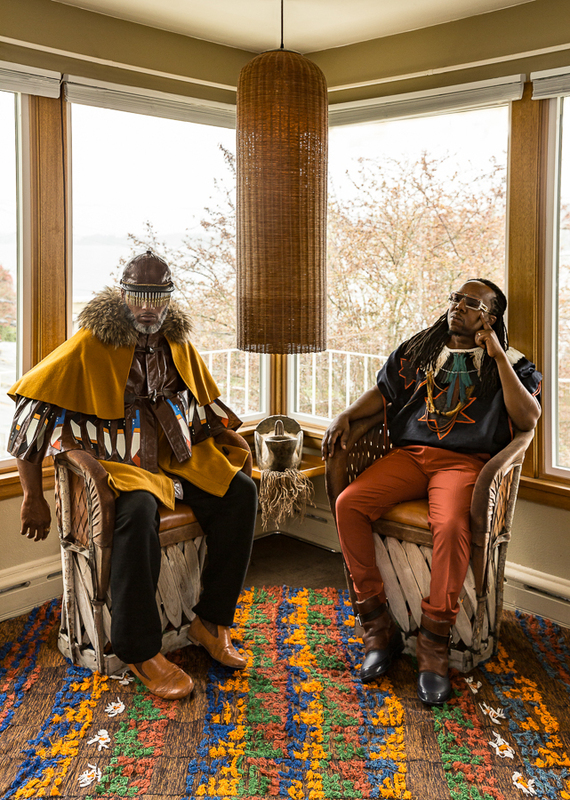 Shabazz Palaces will release Quazarz vs. The Jealous Machines, the group’s fourth album and extra-spatial twin to Quazarz: Born on a Gangster Star, worldwide July 14th through Sub Pop Records. The album, featuring highlights “30 Clip Extension,” “Julian’s Dream (odeto a bad)” and “Effeminence” includes guest appearances from Fly Guy Dai of Chimurenga Renaissance, Amir Yaghamai, John Carroll Kirby, Thaddillac, Morgan Henderson, The Shogun Shot, Laz, and Purple Tape Nate. Quazarz vs. 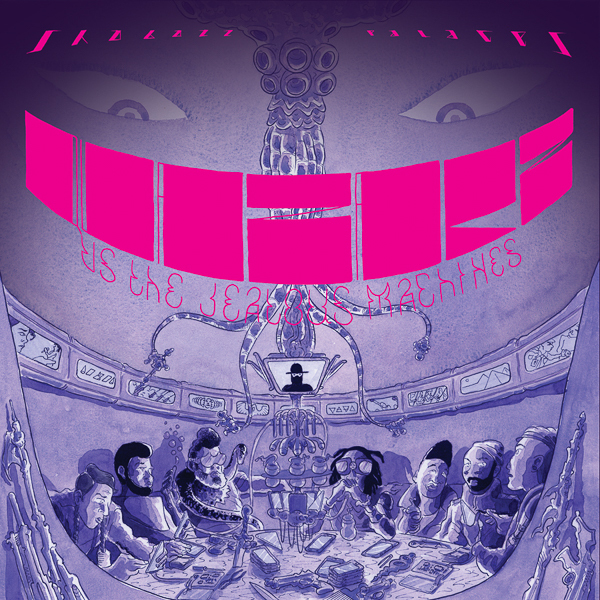 The Jealous Machines is a second, fully-realized album of new material that expands the Quazarz universe, and tells the tales of Quazarz, that sent sentient from some elsewhere. A wave warrior wielding his sonic sword. Posted to the turnt-up states of Amurderca here on the Gangster Star to chronicle, explore and enjoy as a musical emissary. He discovers a world where humankind’s relationship with their tech-devices has become weirdly sensual, seducing a sedentary seamlessness with humans, while capturing and incarcerating the results of their imagination. Quazarz vs The Jealous Machines finds our protagonist with his dazzling cohorts rising a collective Nah to the device and the guilds that proliferate them. Quazarz vs. The Jealous Machines was produced by the Palaceer Lazaro and Sunny Levine, recorded in Seattle at Protect and Exalt Labs: A Black Space and in Marina Del Rey at Dror Lord Studios, and mixed by Levine and Kamal Humphrey at Kamal’s House Studio. Quazarz vs. The Jealous Machines and …Born on a Gangster Star will be released on CD / LP / DL / CS and are now available for preorder from Sub Pop right here. 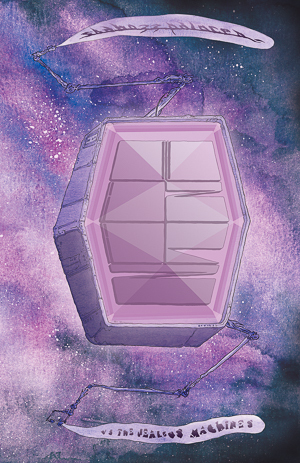 LP pre-orders for each album from megamart.subpop.com and select independent retailers, will receive the limited “Loser” edition on colored vinyl (…Jealous Machines on mashed-up purple; …Born on a Gangster Star on aluminum). Both albums can be purchased together as a special bundle, and there are also new T-shirt designs associated with each release (one for …Born on a Gangster Star and two for …vs. The Jealous Machines). Quazarz vs. 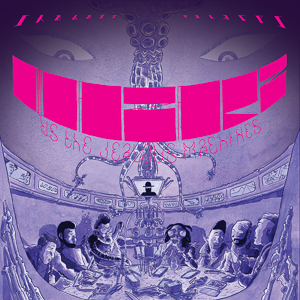 The Jealous Machines will also be available as a special-edition illustrated album: illustrated by cartoonist Joshua Ray Stephens this full-color, hand-numbered, 32-page book includes a download code for the full album. 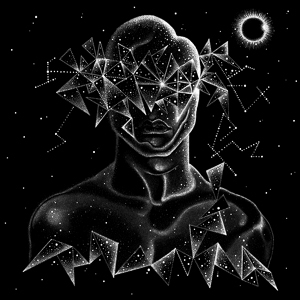 Joshua Ray Stephens worked directly with Shabazz Palaces to interpret the album track-by-track, creating a cohesive whole that synchronizes music and image. Printed in a large 11” x 17” format, with saddle-stitch binding, this limited-edition art piece further expands the ambitious universe of Quazarz and Shabazz Palaces. The illustrated album version of Quazarz vs. 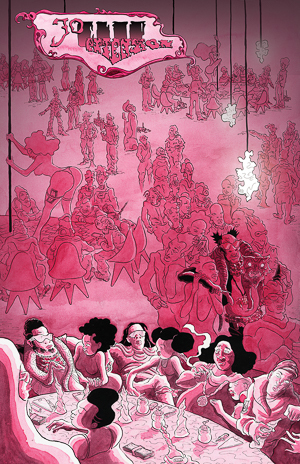 The Jealous Machines will be released in collaboration with Fantagraphics Books on Friday, August 18th. Read more about Quazarz vs. The Jealous Machines and Quazarz: Born On a Gangster Star right over here. Now’s the time to follow Shabazz Palaces everywhere in the known (and unknown) universe via subpop.com/artists/shabazz_palaces and Facebook | Twitter | Instagram. Shabazz Palaces will support both Quazarz vs. The Jealous Machines and Quazarz: Born on a Gangster Star with North American tour dates that currently span May 13th through September 17th. New cities for the the tour include El Paso, Toronto, Quebec City, and Baltimore. Additionally, for the dates from August 16th to September 9th, support will come from labelmate Porter Ray.